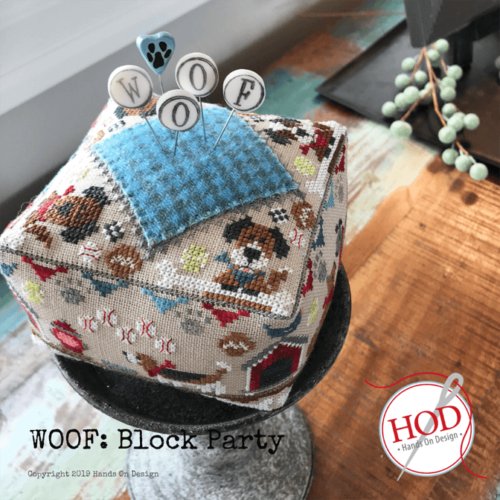 The full tutorial is shown below but you can also download a PDF here. 2. 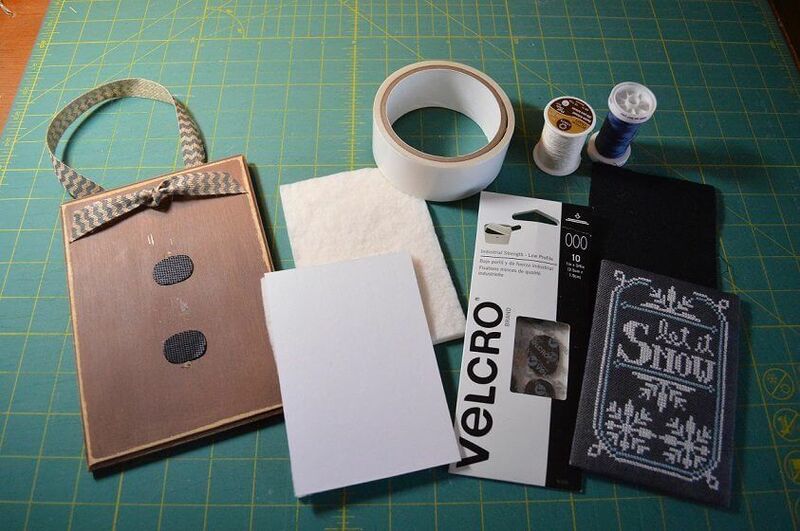 Cut a matboard the desired size (save time, cut all 12) 3 5/8”x 5 1/4” if you stitched on the recommended count of linen (30ct). Cut a pice of cotton batting & place on matbord. 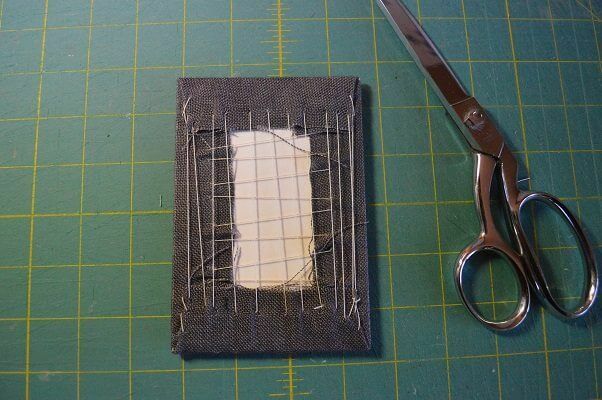 I liketo keep it in place with a small piece of the stitchery tape. 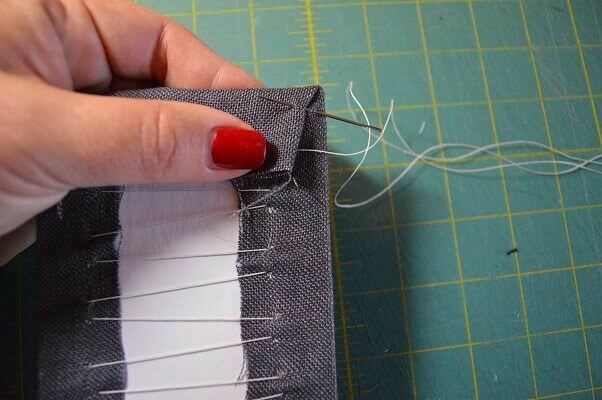 Press & Trim your stitching to approx. 1” from the image. 3. 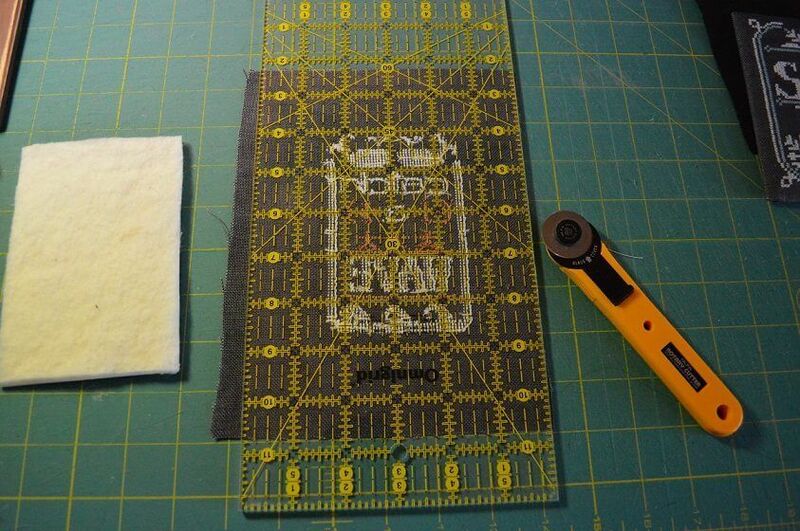 Center design on matboard, turn over & begin to lace your stitching. I start with a knot, anchor it, and scoop stitch my way across the long side of the board. Pull evenly across the way & make a small knot at the opposite end to anchor again. Look at the front to check the stitching. Move the linen around as necessary to ensure it is still centered. 4. Turn the remaining ends in. You may need to trim out some excess linen to avoid thick corners. I find the linen naturally pulls in a bit from lacing the previous side, so I secure my corners with a few stitches to get a crisp looking corner on the front side. Scoop stitch across remaining side. 5. The back of your stretched piece looks like this. This is a basic flat finish. From here you can do marvelous finishes, but we go on for your chalkboard finish! 6. 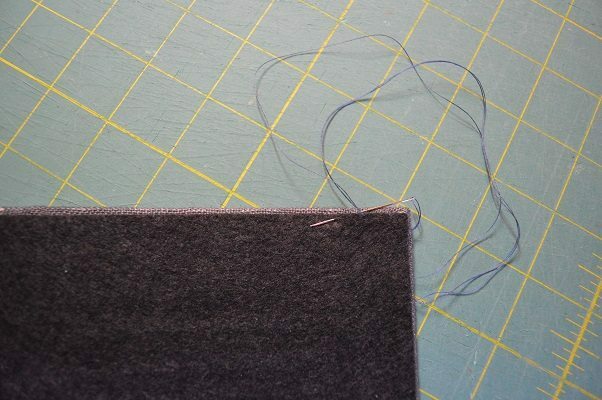 You are adhering a piece of woolfelt or felt to the back of your stitching. 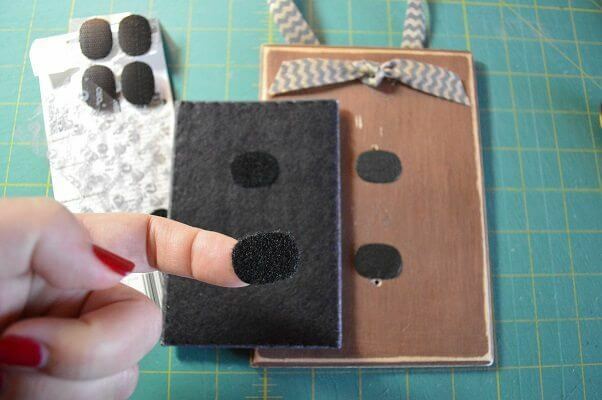 Note: Yes, you can use sticky back felt if you have some. 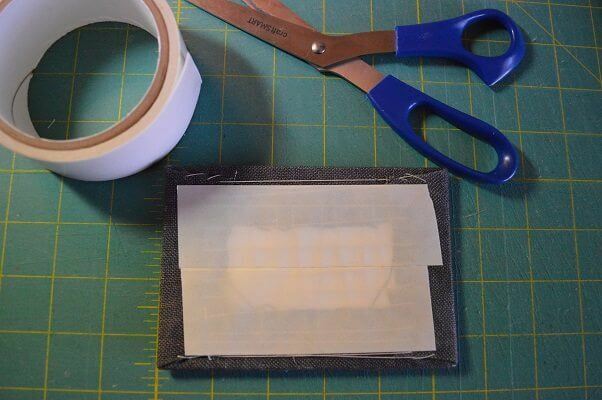 If not, cut 2 pieces of Stitchery Tape & adhere them to the center of the back. Cut this tape with what I call “sticky scissors”: cheap scissor dedicated solely to cutting sticky tape! 7. 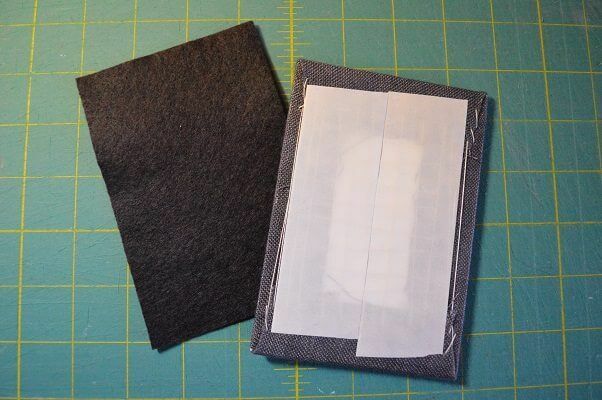 Cut your woolfelt or felt to just fit the back of the laced stitching (we don’t want to see the woolfelt from the front view). Note: You do need to adhere the middle of the woolfelt. If not, you will pull on it as you change out your months & it will sag a bit. Sagging, even a bit, is never a good thing! 9. Final step! 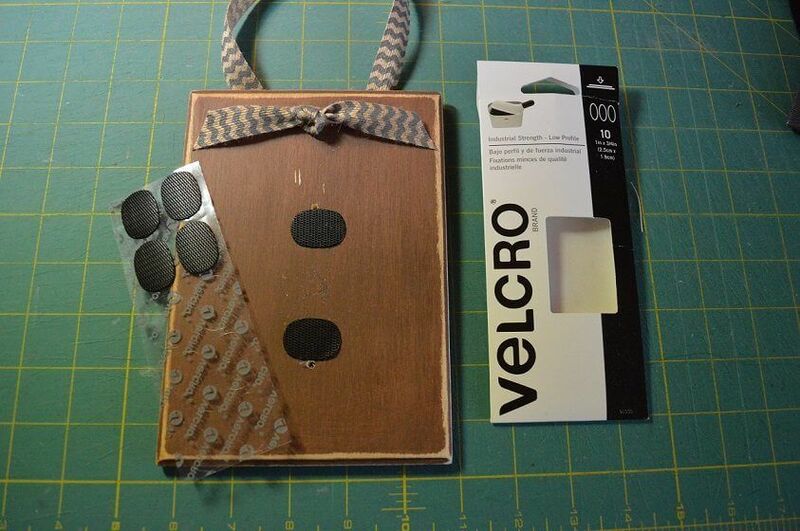 Line up your finished piece on the board and adhere the other side of the Velcro to the woolfelt. It does not need to be exact. Note: The package does say “Not for use on fabrics”. Life is about testing the rules, right? We aren’t playing football with these, just changing it out once a month, right? 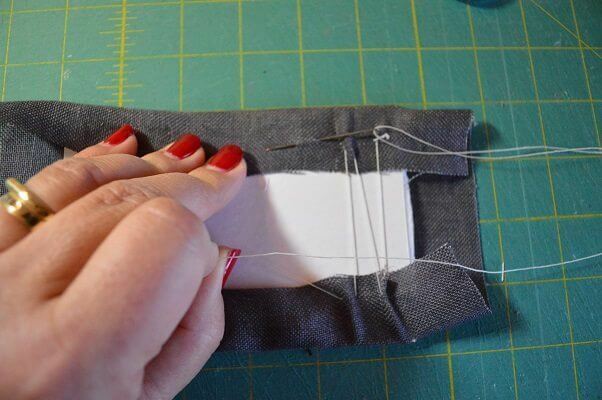 When switching to a new month, carefully slip several fingers under the stitching and ease off the Velcro hold so you don’t bend the flat finish! 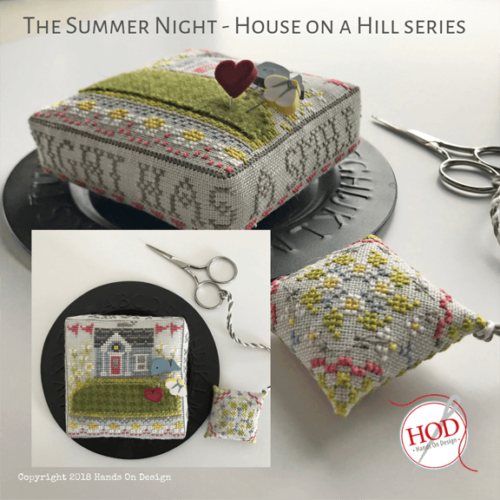 Finishing Tutorial©2015 Hands On Design & Cathy Habermann. 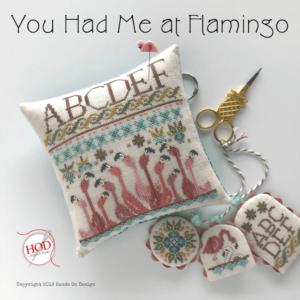 Permission is granted for Shops & Stitchers to print & distribute for classes and personal use. Reposting is permitted with proper reference to http://www.handsondesign.biz These instructions are complimentary & not for resale. 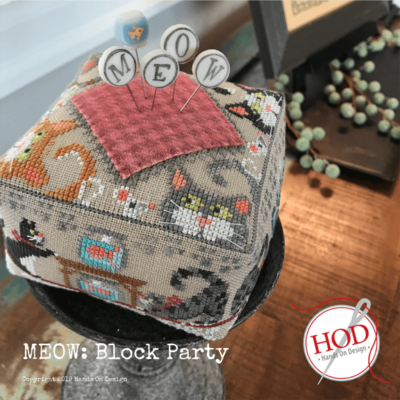 Images are the property of Hands On Design & Cathy Habermann. I there a place where I can buy the wooden back for the Year In Chalk designs?? The boards were limited the year we came out with them – we made 1300 of them! I will ask around what shops may still have them in stock & let you know!